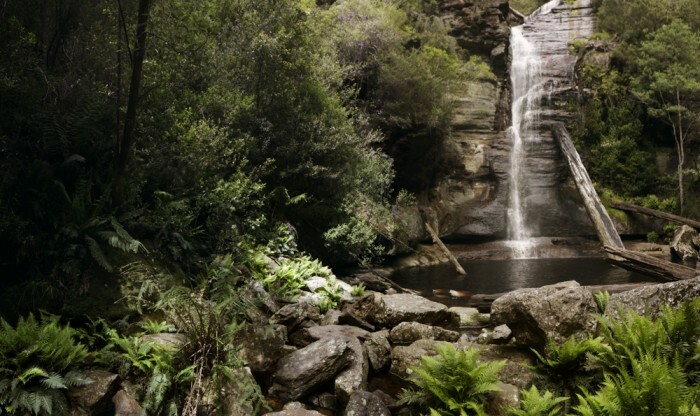 Located just outside of the township of Snug, Snug Falls is a beautiful waterfall above an idyllic river bed. 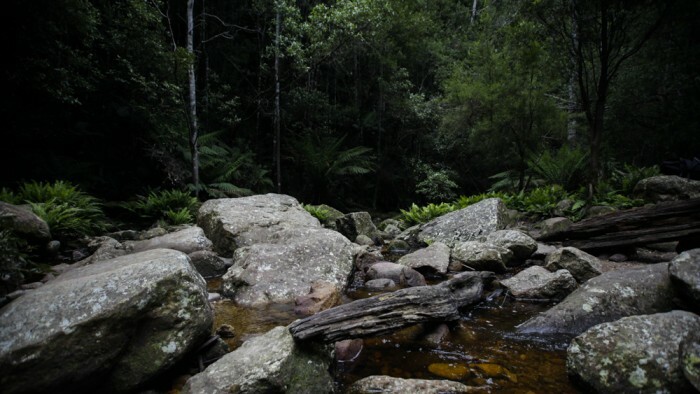 The walk itself is only 1 hour, 2km return along an undulating trail, making it a great short walk for those in the area. 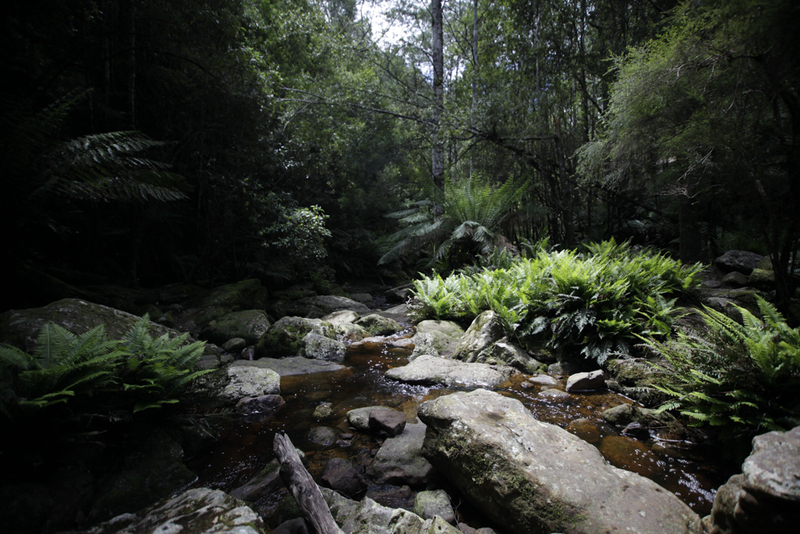 Beginning the walk in dry sclerophyll forest, the trail descends along a clear path to the fern lined gully below Snug Falls. Once at the bottom there are many nooks to explore along the creek. The falls themselves, some 25m high are absolutely beautiful, picturesquely framed between forest, fallen logs and cliff face. Returning to the carpark along the same trail there is a small shelter and seat for walkers. The falls are great and the walk is easy, making it a recommended spot-in for those in the area. The falls are particularly impressive after heavy rains. View Google Map Directions From Hobart head south along the Southern Outlet (A6) for 10km. Take the right hand lane at the Kingston Bypass and continue on for 2km before taking the 4th exit to Channel Highway (B68) at the roundabout. Continue for 10km to Snug, turning right onto Snug Tier Road, just before the primary school.After 4km take the road to the left onto Snug Falls Road. The carpark area is signposted shortly before the trail head.